Red Hat is the world's leading provider of open source software solutions, using a community-powered approach to reliable and high-performing cloud, Linux, middleware, storage, and virtualization technologies. Red Hat CloudForms is a hybrid cloud management solution that provides robust, enterprise grade management for workloads across traditional virtualization, private clouds and public clouds. 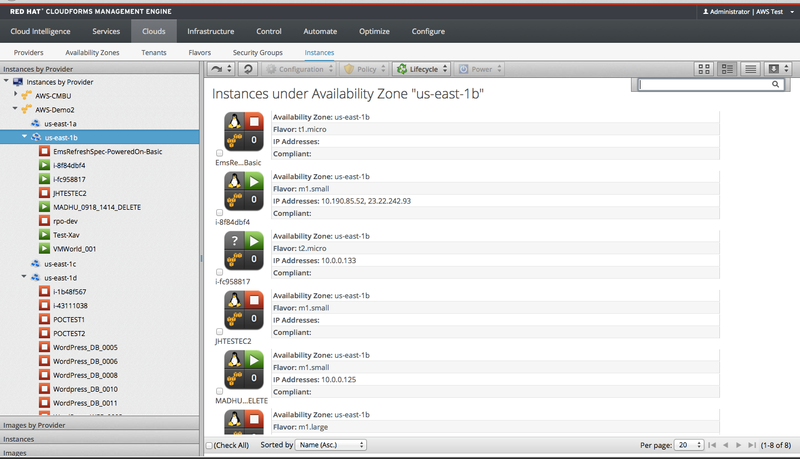 AWS Config allows Red Hat CloudForms customers to enforce policies and ensure compliance for workloads running in Amazon Web Services. This extends the same level of control that CloudForms customers already enjoyed for virtualization and private cloud workloads to the public cloud.